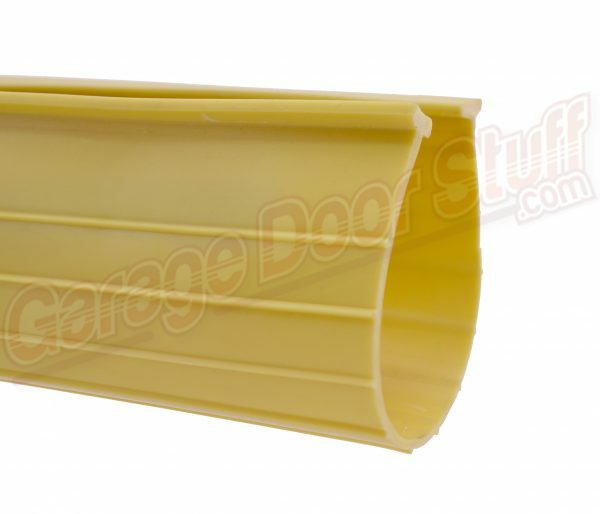 High quality, heavy duty Vinyl Astragal weather stripping in Yellow. This safety yellow weather seal will improve safety, cut down on damage and also improve compliance. This is an ounce of prevention type product that is a win win on many applications, not just commercial applications. 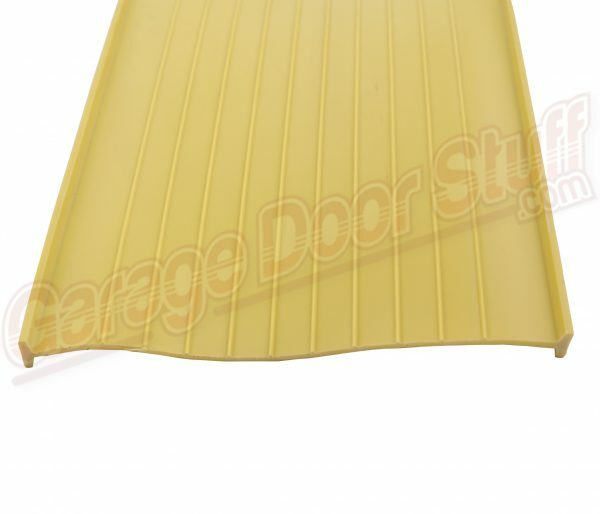 We have bottom retainers that will allow you to use this safety yellow weather seal on any door. We carry only the best, heavy duty weather seal. 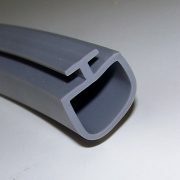 These are robust, work horse vinyl weather seals that are .060 thick. Ribbed to prevent freezing to the floor. 4″ Wide (LAID FLAT) – 1/4″ T Width – .060 Thick – YELLOW – Vinyl – Formed into a U shape to slide into the bottom retainer on the door. 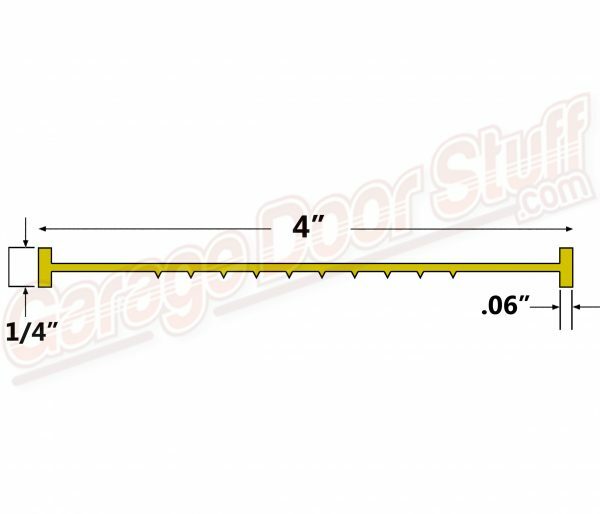 This 4″ width garage door weather seal is perfect for most applications. 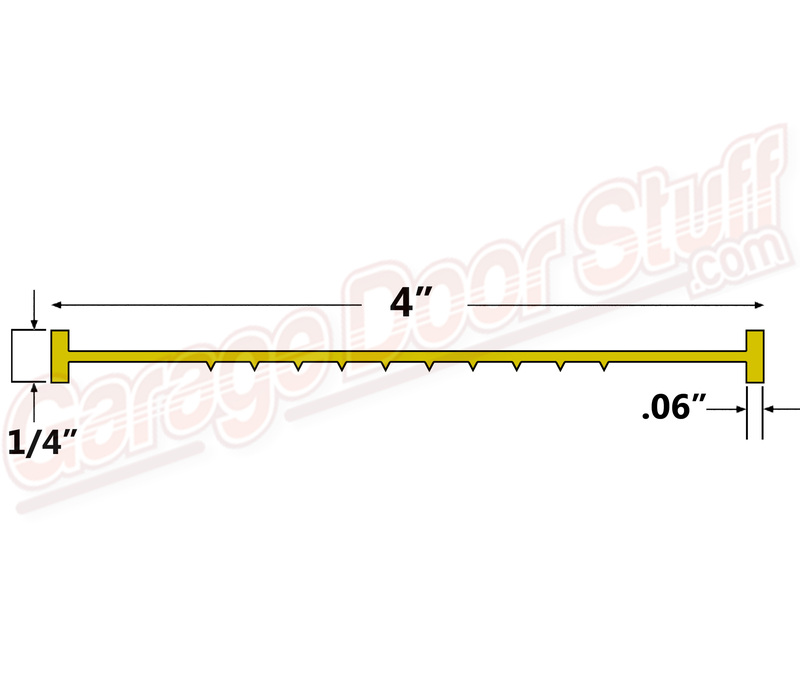 All lengths are a minimum of 2″ longer than the listed length for a perfect fit. 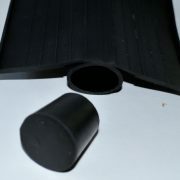 In situations where the existing bottom retainer of the door will not accept this type of weather seal and you need or want to use this type of weather seal, simply replace the bottom retainer on the door. 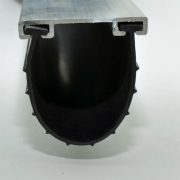 We carry a wide variety of garage door retainers for the bottom of the door that will accept this type of weather seal. With the correct retainer and weather seal combination, we can help you seal any door to any floor. 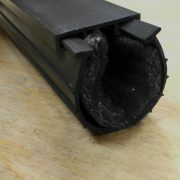 -Remove old weather seal, clean and straighten the bottom retainer if needed. -Check the ends of the retainer, they may have been pinched at time of original install, open those ends up if needed. -Spray lubricant into the channels of the retainer, WD 40 or a like product works well. One person guides the seal into the tracks, one person pulls the weather seal. If you have any questions or need help in determining the correct weather seal, give us a call or better yet, send us photos of the existing weather seal and or job site conditions and we will be glad to help.